Main features: time, exercise monitoring (steps, distance, calories), pedometer, sleep monitoring (sleep time, sleep quality), heart rate / blood pressure monitoring, data synchronization, calorie consumption, sedentary reminder, Person), message reminder (display message content), alarm clock, data synchronization, remote control, etc. 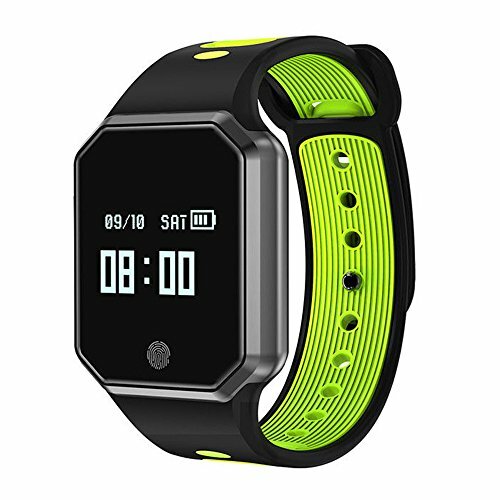 ⑵ The smart band can accurately READ HEART RATE changes through built-in motion and heart rate sensors, and monitor and prompt the heart rate during exercise, allowing you to freely plan exercise time and exercise volume according to the heart rate. ⑶ Smart band intimately joined the SEDENTARY REMINDER FUNCTION, specifically for work overtime, long-term lack of exercise for you to customize. The smart band will automatically monitor your activity status. When you are sedentary, you will be alerted by vibration to get up and go outside to breathe air to relax and recharge your health!